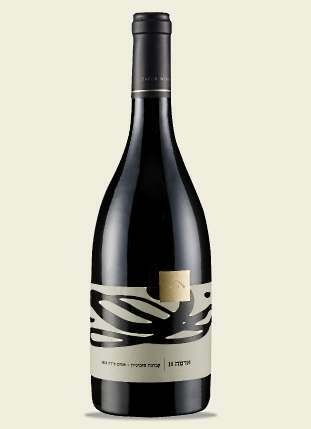 This wine is made from selected Shiraz and Cabernet Sauvignon grapes, which grew on the Terra-Rosa vineyards on the neighboring Malkia mountain range. The wine was gently cared for and then transferred to French oak barrels for a period of 12 months. With a deep red color and slight shades of a purple glow; a full-body and rich tannins leads to a long and complex taste. This wine is full of flavors of blackberry and violets with a hint of Mediterranean herbs that blend with the shades of the cedar barrel and cloves.